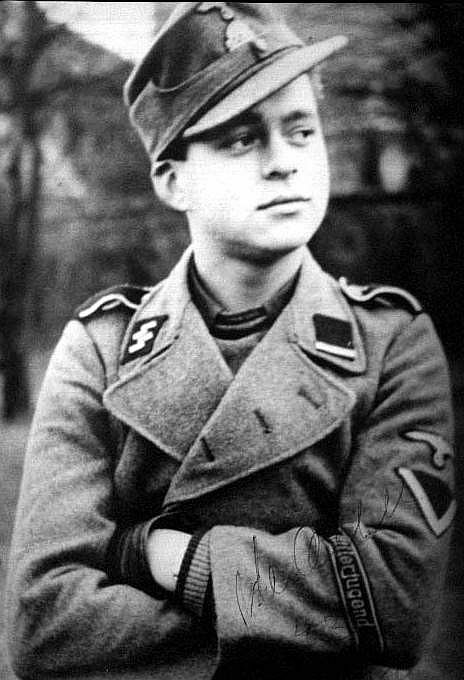 The 12th SS Hitlerjugend Division formed in 1943 consisted entirely of men (boys) from the Hitler Youth. Tough, highly motivated, indoctrinated and reckless, war for them was a game to be played for the Fuehrer. They were not afraid to die. They made life miserable for the Americans as they moved through France towards Germany. 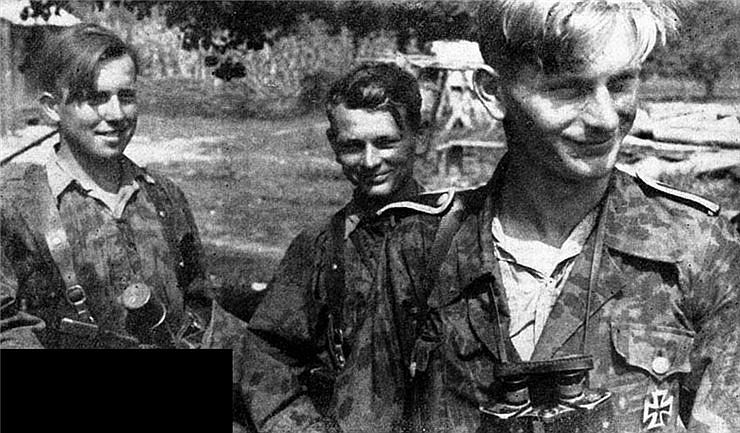 The 12th SS Hitlerjugend Division was made entirely from Hitler Youth boys. 1943 marked the military turning point for Hitler's Reich. 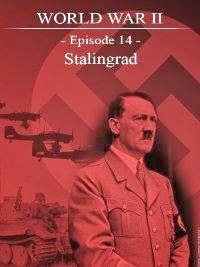 In January, the German Sixth Army was destroyed by the Russians at Stalingrad. In May, the last German strongholds in North Africa fell to the Allies. 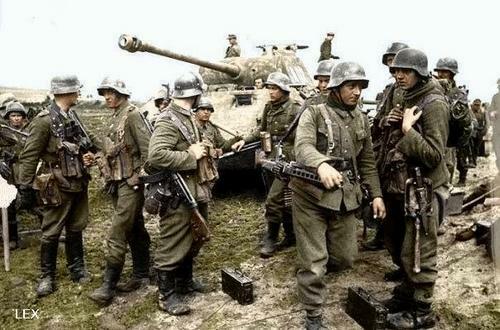 In July, the massive German counter-attack against the Russians at Kursk failed. The Allies invaded Italy. 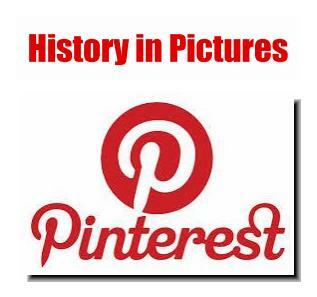 An Allied invasion of northern Europe was anticipated. The war could only end with the "unconditional surrender" of Germany and its Axis partners, as stated by President Franklin Roosevelt at the Casablanca Conference in January 1943. In February, Nazi Propaganda Minister Joseph Goebbels retaliated by issuing a German declaration of "Total War." 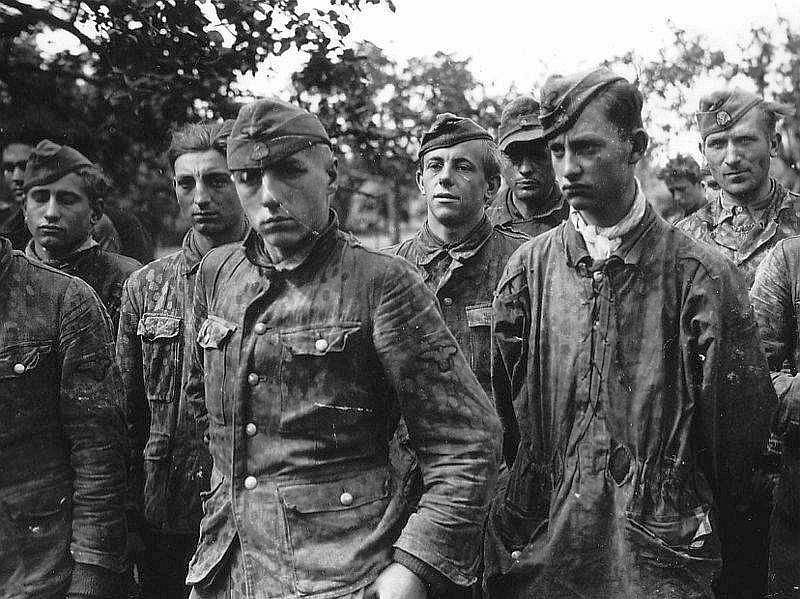 Amid a dwindling supply of manpower, the existence of an entire generation of ideologically pure boys, raised as Nazis, eager to fight for the Fatherland and even die for the Führer, could not be ignored. The result was the formation of the 12th SS-Panzer Division Hitlerjugend. A recruitment drive began, drawing principally on 17-year-old volunteers, but younger members 16 and under eagerly joined. During July and August 1943, some 10,000 recruits arrived at the training camp in Beverloo, Belgium. To fill out the HJ Division with enough experienced soldiers and officers, Waffen-SS survivors from the Russian Front, including members of the elite Leibstandarte-SS Adolf Hitler, were brought in. 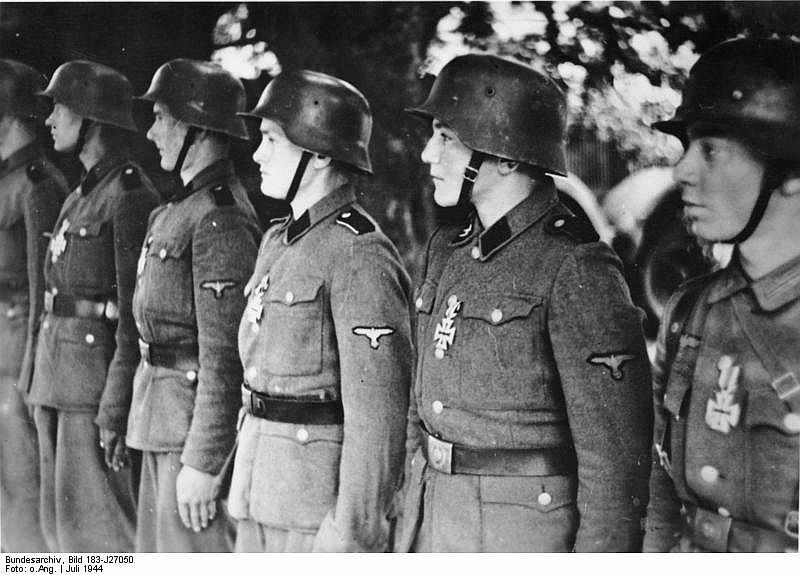 Fifty officers from the Wehrmacht, who were former Hitler Youth leaders, were also reassigned to the division. 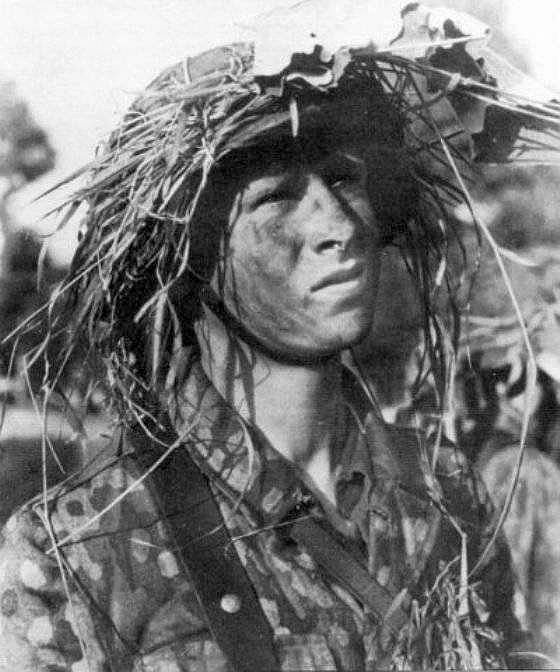 The remaining shortage of squad and section leaders was filled with Hitler Youth members who had demonstrated leadership aptitude during HJ paramilitary training exercises. The division was placed under of the command of 34-year-old Major General Fritz Witt, who had also been a Hitler Youth, dating back before 1933. 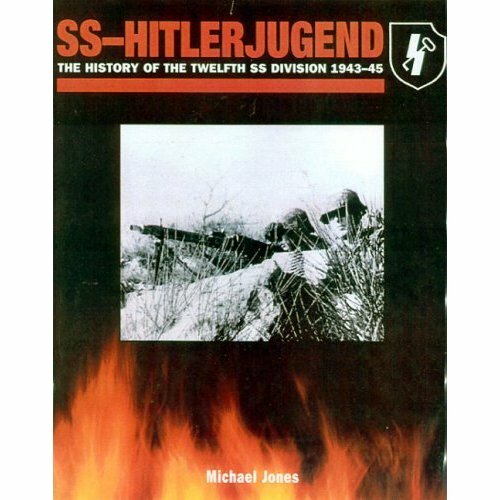 WHAT WAS THE 12TH SS HITLERJUGEND DIVISION? 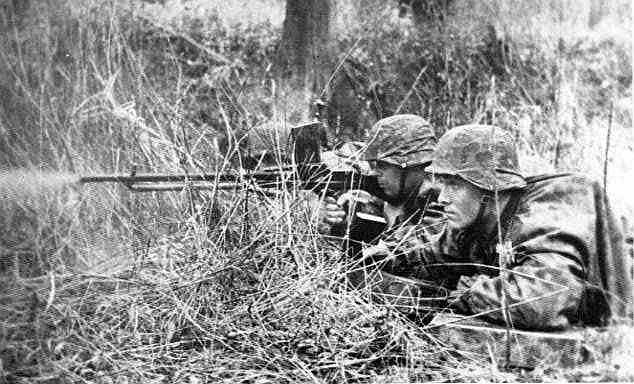 The 12th SS Panzer Division Hitlerjugend was the 12th German Waffen SS armored division, which fought during the last phase of World War II. The majority of its enlisted men in the Hitlerjugend Division were very young men, teenagers, drawn from members of the Hitler Youth born in 1926. 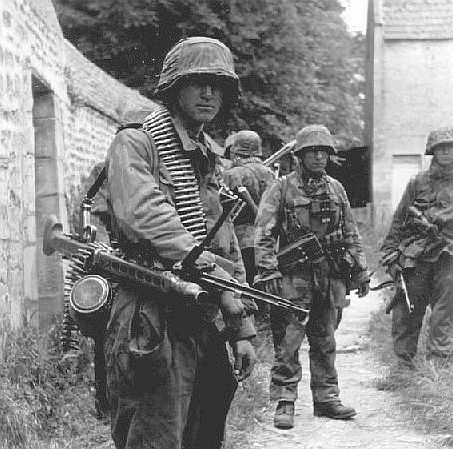 The division first saw action on June 7, 1944, as part of the German defense of the Caen area during the Normandy campaign. 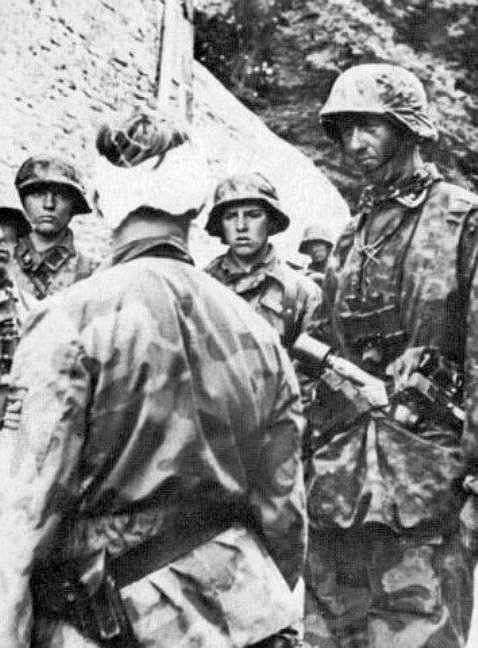 As the German Military was having a serious shortage of manpower after the surrender of the 6th Army at Stalingrad in February 1943, plans were put forth to create a 12th division in the Waffen-SS. Unlike some other divisions which were made up of foreign volunteers, this division would be created using the all German members of the Hitler Youth. 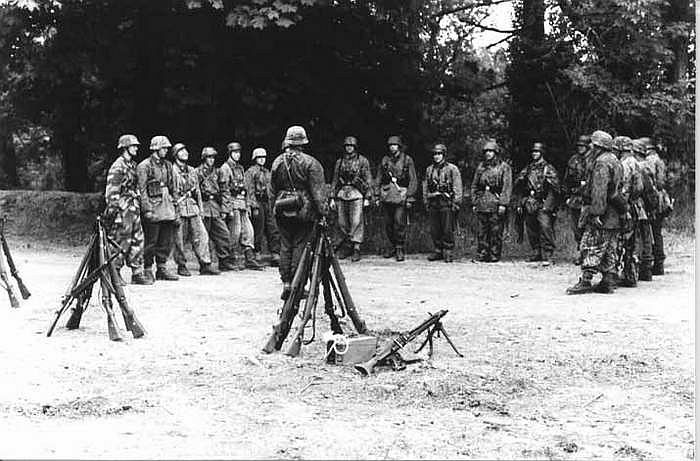 In September 1943, over 16,000 recruits had completed their basic training and were listed on the rosters of the SS Panzergrenadier Division Hitlerjugend. 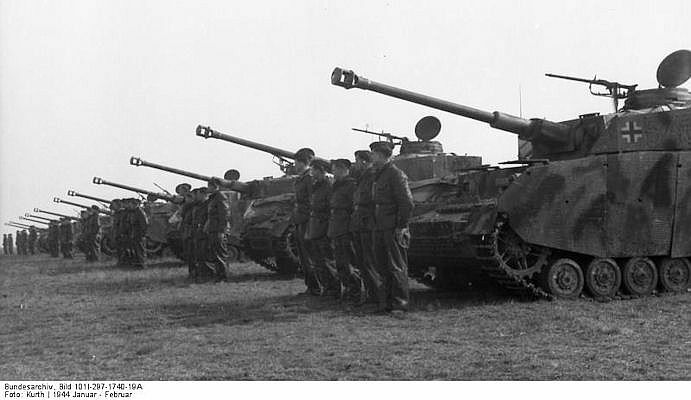 When the division was further training continued in Beverloo, Belgium, it was notified that it was to be formed as a panzer rather than a panzergrenadier unit. In October 1943 the division received its final designation, 12th SS Panzer Division Hitlerjugend. Many of the recruits were so young that they were supplied with sweets and candies instead of the standard tobacco and alcohol ration. In April 1944 the 12th SS Panzer Division Hitlerjugend moved into its reserve area northwest of Paris and was declared fully operational. On D-Day, June 6, 1944 it was ordered to operate on the left flank of the 21st Panzer Division and throw the enemy west of the Orne into the sea and destroy him. When the Allies took the Normandy beaches and its surrounding areas, the SS Division Hitlerjugend, which consisted of 20,540 men, marched into the area to the north and west of the city of Caen. The British and Canadian troops had been ordered to capture Caen within 24 hours of the D-Day landings. 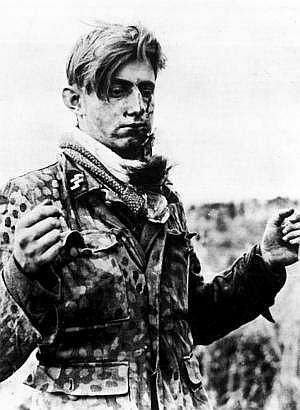 On the morning of June 7 the Hitlerjugend Division attacked and delivered many stinging defeats to the allies on that first day of battle. This SS Division fought so ferociously that they kept the allies from taking Caen for over a month. The British and Canadian outnumbered these young German SS soldiers both in men and material, but the fighting spirit of this elite division stopped operations ‘Epsom’ and ‘Goodwood’ in their tracks. After the invasion battles the division was sent to Germany for refitting and on December 16, 1944, was once again sent to the front. 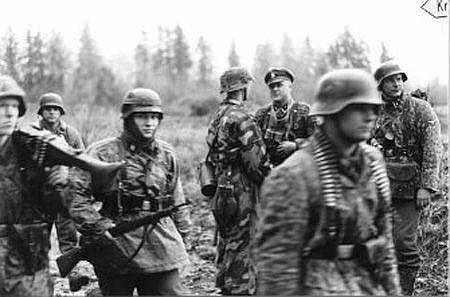 The 12th SS Panzer Division Hitlerjugend fought against the Americans at the Battle of the Bulge, in the Ardennes forest. After the failure of the Ardennes counteratack, the division was sent east to fight the Red Army near Budapest, but eventually withdrew into Austria. The SS Panzer Division Hitlerjugend surrendered to the Americans in Enns on May 8, 1945 with a strength of about 10,000 men. Proud and defiant until the end, they refused to drape their vehicles with white flags as ordered by the Americans and instead marched into captivity as if on the parade ground. Among his young troops, morale was high. Traditional, stiff German codes of conduct between officers and soldiers were replaced by more informal relationships in which young soldiers were often given the reasons behind orders. Unnecessary drills, such as goose-step marching were eliminated. Lessons learned on the Russian Front were applied during training to emphasize realistic battlefield conditions, including the use of live ammunition. By the spring of 1944, training was complete. The HJ Panzer Division, now fully trained and equipped, conducted divisional maneuvers observed by General Heinz Guderian and Field Marshal Gerd von Rundstedt, both of whom admired the enthusiasm and expressed their high approval of the proficiency achieved by the young troops in such a short time. The division was then transferred to Hasselt, Belgium, in anticipation of D-Day, the Allied invasion of northern France. A few days before the invasion, SS-Reichsführer Heinrich Himmler visited the division. On D-Day, June 6th, 1944, the HJ Division was one of three Panzer divisions held in reserve by Hitler as the Allies stormed the beaches at Normandy beginning at dawn. At 2:30 in the afternoon, the HJ Division was released and sent to Caen, located not far inland from Sword and Juno beaches on which British and Canadian troops had landed. The division soon came under heavy strafing attacks from Allied fighter bombers, which delayed arrival there until 10 p.m. This is what the Russians did to this 12th SS man. The HJ were off to face an enemy that now had overwhelming air superiority and would soon have nearly unlimited artillery support. 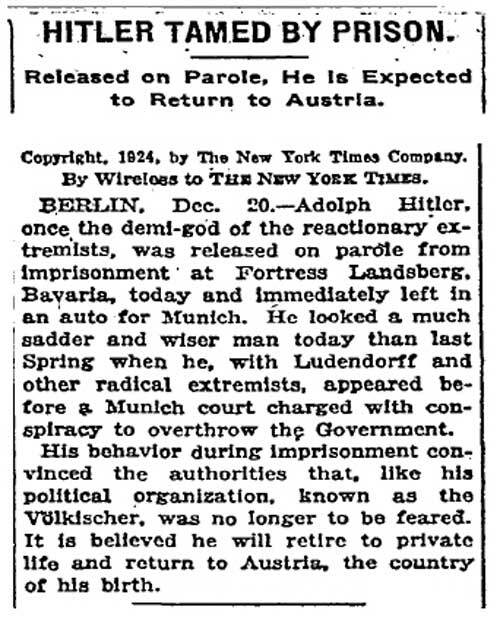 The Allies, for their part, were about to have their first encounter with Hitler's fanatical boy-soldiers. This man is full of spirit and saucy courage. Wonder what happened to him later. 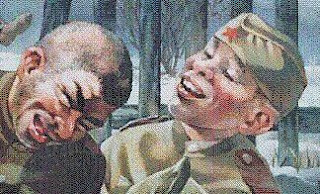 The Russians were very 'unkind' to SS men. The shocking fanaticism and reckless bravery of the Hitler Youth in battle astounded the British and Canadians who fought them. They sprang like wolves against tanks. If they were encircled or outnumbered, they fought-on until there were no survivors. Young boys, years away from their first shave, had to be shot dead by Allied soldiers, old enough, in some cases, to be their fathers. 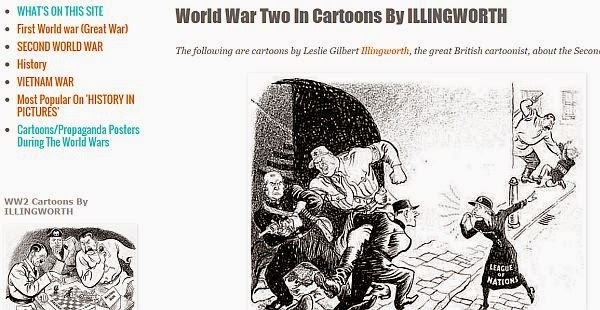 The "fearless, cruel, domineering" youth Hitler had wanted had now come of age and arrived on the battlefield with utter contempt for danger and little regard for their own lives. This soon resulted in the near destruction of the entire division. By the end of its first month in battle, 60 percent of the HJ Division was knocked out of action, with 20 percent killed and the rest wounded and missing. Divisional Commander Witt was killed by a direct hit on his headquarters from a British warship. Command then passed to Kurt Meyer, nicknamed 'Panzermeyer,' who at age 33, became the youngest divisional commander in the entire German armed forces. After Caen fell to the British, the HJ Division was withdrawn from the Normandy Front. The once confident fresh-faced Nazi youths were now exhausted and filthy, a sight which "presented a picture of deep human misery" as described by Meyer. In August, the Germans mounted a big counter-offensive toward Avranches, but were pushed back from the north by the British and Canadians, and by the Americans from the west, into the area around Falaise. Twenty four German divisions were trapped inside the Falaise Pocket with a narrow 20 mile gap existing as the sole avenue of escape. The HJ Division was sent to keep the northern edge of this gap open. However, Allied air superiority and massive artillery barrages smashed the HJ as well as the Germans trapped inside the pocket. 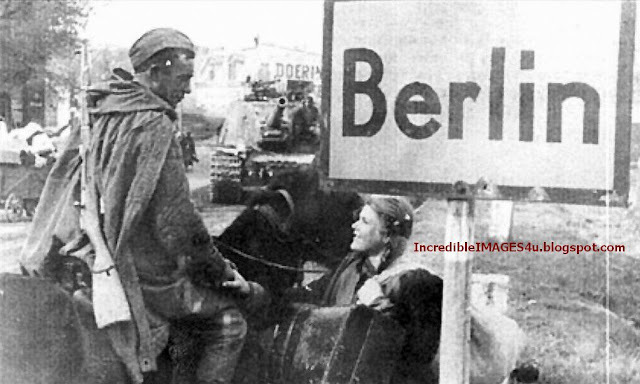 Over 5,000 armored vehicles were destroyed, with 50,000 Germans captured, while 20,000 managed to escape, including the tattered remnants of the HJ. 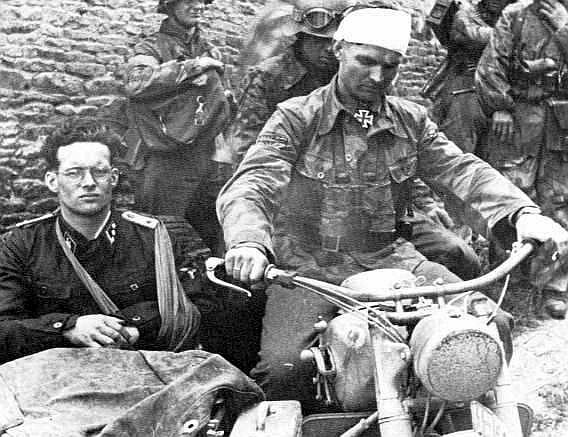 By September 1944, the 12th SS-Panzer Division Hitlerjugend numbered only 600 surviving young soldiers, with no tanks and no ammunition. Over 9,000 had been lost in Normandy and Falaise. The division continued to exist in name only for the duration of the war, as even younger (and still eager) volunteers were brought in along with a hodgepodge of conscripts. The division participated in the failed Battle of the Bulge (Ardennes Offensive) and was then sent to Hungary where it participated in the failed attempt to recapture Budapest. On May 8, 1945, numbering just 455 soldiers and one tank, the 12th SS-Panzer Division Hitlerjugend surrendered to the American 7th Army. When the HJ entered captivity on 8 May 1945, 328 officers, 1,698 NCOs, and 7,844 men, a total of 9,870 men of the 12th SS "Hitlerjugend" were going into American POW camps. The war for the Hitlerjugend division was over. SS Hitlerjugend is an in-depth examination of the unit formed in 1943 from members of the Hitlerjugend (Hitler Youth) organization. The majority of the division's recruits were 17 year olds who were fanatically devoted to the Nazi cause and the Fuhrer. The book explores the background to the unit's formation, the type of young men it recruited, the key figures in the division and its organization. It also looks at the uniforms and insignia that members of the division wore to distinguish themselves in the battlefield. 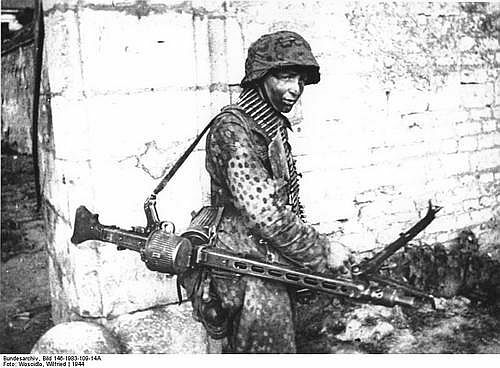 SS Hitlerjugend also provides a full combat record of the division, which fought on both fronts in World War II. 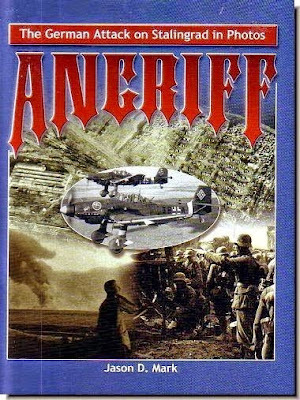 The book outlines the unit;s involvement in the defense of Normandy, when allied troops were shocked by the youth of the enemy; the battle for Caen and the catastrophe of the Falaise Gap; refitting in Germany before the Ardennes Offensive and its service on the Eastern Front at the end of the War, fighting to recapture Budapest. Illustrated with rare photographs and with an authoritative text, SS Hitlerjugend is a definitive history of one of Germany's most fanatical fighting units in World War II. Poor SS guys fighting in vain and for the wrong cause. Artificial glorifying of them in this obviously biased article is naive. The SS were mostly known for the atrocities that they commited on civilians and that is particularly brave or honourable. One day when our jewish run and bastardised planet is so polluted with fat ugly and cowardly slaves , we will look at these youths as the supreme example of sacrifice against overwhelming odds. i pray that there is a god and they sit forever young at his table. As for naivity ,look carefully at what is happening in the world right now.you oviousy swallow whatever history your masters have served up for you.Look at these boys.dont they look more like your brothers than the mongols that raped their mothers and sisters. Atrocities..Vietnam? Northern Ireland? Iraq. Time will tell. Your presentation is great, congratulation.